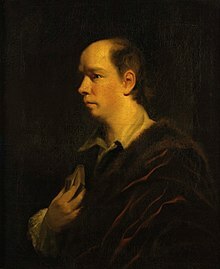 Oliver Goldsmith was a great poet, and his prose is or astonishing range and volume. Among his works of prose, The Citizen of the World (1750) is a series of imaginary letters from a philosophical Chinaman, writing letters home from London, giving Goldsmith the opportunity of expressing his own mind upon the society and literature of the day. The series was contributed to The Public Ledger, a popular Magazine. He wrote many essays on personal and impersonal objects. The essays of Goldsmith are characterised by whimsicality, satire, mild humour and graceful charm. As an essayist Goldsmith is superb. His essays are satirical reflections upon society of his times. He criticises manners and ideas in England with satire mixed the note of didacticism intending to reform the evils and teach the readers sound lessons in morality. Goldsmith's prose style is clear, transparent and delicate. His style is inseparable from soundness of intelligence. In point of style both Addison and Goldsmith, writes Hugh Walker, "are admitted to be masters, but Goldsmith is the greater of the two. He is greater just because style, in the last resort, is inseparable from thought, just because of that provinciality, that commonplaceness of idea, which Matthew Arnold detected in Addison, and which is not in Goldsmith. "Probably not one in ten thinks for a moment of The Citizen of the World as one of the finest collection of essays ever written, and a work quite worthy of a place beside its author's more popular writings. Goldsmith's literary greatness may be measured by the fact that he has equalled Addison on Addison's own ground, and greatly surpassed him elsewhere." Goldsmith's essays reveal an extraordinary power, boldness and originality of thought. In this respect he is superior to Addison or any other of the periodical essayists. His minute observation of man and human nature is remarkable. The characterizations of the Man in Black and Beau Tibbs and those of Vagabonds are noticeable for minute observation. His essay ‘Beau Tibbs’ is a fine example of his art of characterization. "He was a poet of talent, a proseman of genius, a proseman, moreover, of distinctive and original genius." The essay ‘Beau Tibbs’ has been taken from The Citizen of the World. The words 'Beau Tibbs' mean a showy man who is careful about his dress and appearance. In it he has been presented as a poor, foolish and unknown man. Ever then he pretends to be a friend of very great persons. We cannot call Beau Tibbs an attractive man. Though he is young, he has no charm in him. He is pale thin and sharp. His dress is peculiar like his appearance. As Hopkins points out, Tibbs appears to be a caricature of the nobleman just as Sir Roger de Coverley was a satirical prototype for the Tory gentleman. In the essay, when Altangi first meets Tibbs, he describes the latter's dress. Tibbs is a gentleman of name only possessing only a physical appearance of English Nobleman. Beau Tibbs is a character originating in a lower level of society and to use this character as a mirror reflecting in an exaggerated manner the affectations of the aristocrats would be a brilliant solution for satire. Beau Tibbs is more than mere satire, however, against the aristocracy. He represents the potential corruption in taste and fashion of the entire middle class. Beau Tibbs tells that he is friendly with Lord Mudler, Lady Grogram and the Dutehess of Piccadilly yet he says that he hates great persons. He says to the Man in Black, 'I despise the great as much as you do.' He speaks with great pride that he dined with the Dutehess of Piccadilly. At her house he met Lord Mudler. The Lord talked to him about his girlfriends. Tibbs says that Lord Mudler has promised him an income of five hundred Pounds a year. He says that he dined with Lady Grogram. He makes a show of forgetting things. He wants a loan of half a crown from the Man in Black. He promises to return after a minute or two or so. But then he says 'Ask me for it the time we meet or it may be twenty to one but I forget to pay you.' He tries to get money from others by pleasing them with his talks. He neither returns it nor does he ever think of it. In short, Beau Tibbs is a satirical character. By portraying the character of Beau Tibbs, Goldsmith tries at representing reality of the time of degeneracy of English Nobility. Beau Tibbs possesses a trivial personality who does not create a good impression of him in the minds of readers. He is not trustworthy and is a lier.